Incredible price! A charming 1920s 6-room room condo, Easy living on the first-floor, Located on a beautiful tree-lined street, Bright, sunny rooms with hardwood floors throughout, Living room with coffered ceilings and french doors opening up to a spacious, sun-lit sunroom, In-unit laundry off the kitchen, Lovely 7x7 foyer with great closet space, Dining room with built-in china cabinet, Economical gas heating and cooking, roof is only two years old! 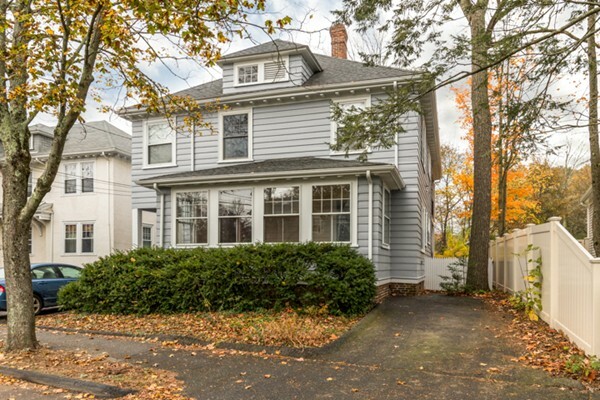 Perfect commuting location- close to public transportation and a quick ride to the Mass Pike/I-90! Offers, if any due Tuesday, November 14 by 5:00PM.